LSD is categorized as a hallucinogen. The active ingredient in LSD is lysergic acid, found in fungus that grows on grains. LSD is colorless and odorless and is slightly bitter to the taste. 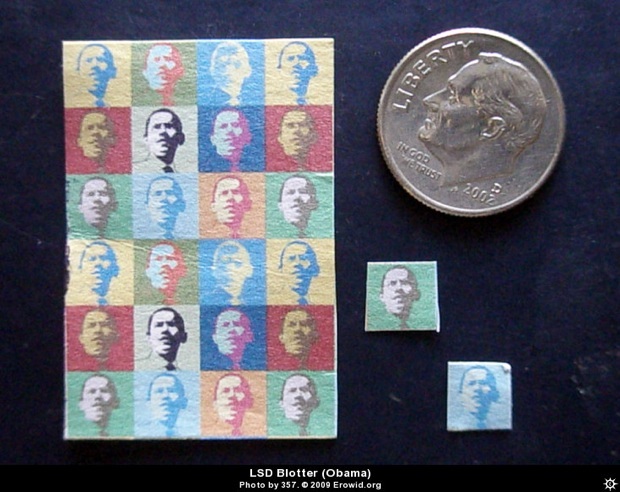 Also known as Acid, it is sold in "blotter" form resembling very small stamps of paper, also in liquid form and in "gel tab" or pill-like form. Other known names: Acid, Boomers, Doses, Dots, Loony Tunes, Microdot, Pane, Superman & Tab. Effects are unpredictable depending on the dosage taken and the individual's personality and mood. Effects can range from an intense high to a very deep low ("bad trip"). Visual changes are notable, loss of appetite, sleeplessness, dry mouth, tremors, change in mood, dilated pupils, sweating or chills, delusions, distorted sense of time, depth, size and shape, objects, movement, color, sounds & touch. Panic attacks, flashbacks are notable long after one discontinues use.